What did Lee Harvey Oswald do in the Soviet city of Minsk? And why did the US authorities let him return shortly before he was arrested for shooting President Kennedy? 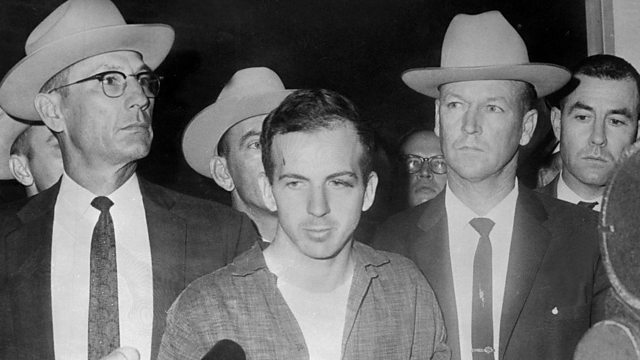 What did Lee Harvey Oswald do for two years in the Soviet city of Minsk? And why did the American authorities let him return without any fuss in 1963? A few months later he would be arrested for shooting the US President. Vincent Dowd has been listening to archive accounts of Oswald's time in the USSR and speaking to Anthony Summers who has written about the assassination of President Kennedy. Photo: Lee Harvey Oswald on November 22,1963, during a press conference after his arrest in Dallas. Credit: AFP/Getty Images.